Today we are excited to present Cathrine Sandvik, one of our new Design Team members. There is no doubt she will spread a lot of inspiration using our papers, and we are thrilled to have her on our team this year! 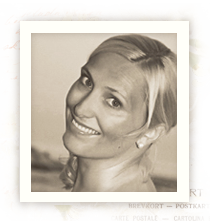 So let’s give a warm welcome to Cathrine and get to know a bit more about her and her passion for paper crafting! My name is Cathrine Sandvik, and I live in Bodø, a small town in northern Norway. I’m married with the love of my life, and we have two wonderful boys. I love paper crafting, and I can spend hours in my craftroom almost every day. It’s calming, and brings joy to my life. If I have to describe my style I would probably say it’s a mix of romantic, shabby chic and vintage. More is less, and I use a lot of layerings, flowers and laces when I craft. I have always had a soft spot for Pion Designs papers. The soft palette and romantic style fits me perfectly. Being asked by Pion Design to become part of their Design Team was a dream come true for me. I’m so proud and honored, and can hardly wait to start on this great journey. It’s soon Valentines day, and the beautiful To my Valentine paper collection from Pion Design is perfect for this occasion. The soft colors mixed with some red and black gives the collection the ultimate romantic feeling. I hope I have inspired you! To my Valentine 12×12″ – Forget me not PD6805. To my Valentine 12×12″ – Memory notes PD6811.